Look Up Teshr. Teshr- Not a word.. "TEACHER! How do I spell this?" 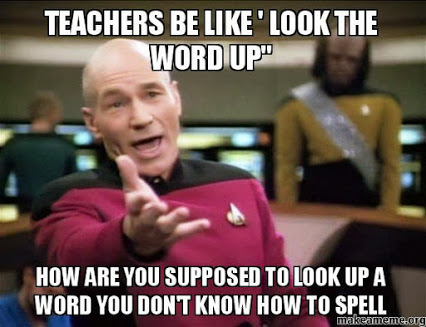 I say "I don't know, look it up!" teacher says.. GRRR. Wallpaper and background images in the Education club tagged: photo.